During the summer, we like to cook our pizza on the grill. 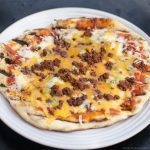 This pizza sauce has a kick, so if you’re a heat pansy turn it down a notch by reducing the pepper (either the crushed red or the black…or both). I tend to think the red has more heat, but a better flavor. Mess with it as you will. If you’re out of any of the herbs, try to increase the Italian seasoning by the same ratio. You will still get a great sauce. If you’re lacking in the minced garlic, try replacing it with garlic powder. It’s a pretty versatile and forgiving recipe. If you would like to follow along as I prepare the dough and sauce, and grill the pizza, check out the Twisted Tastes YouTube channel. 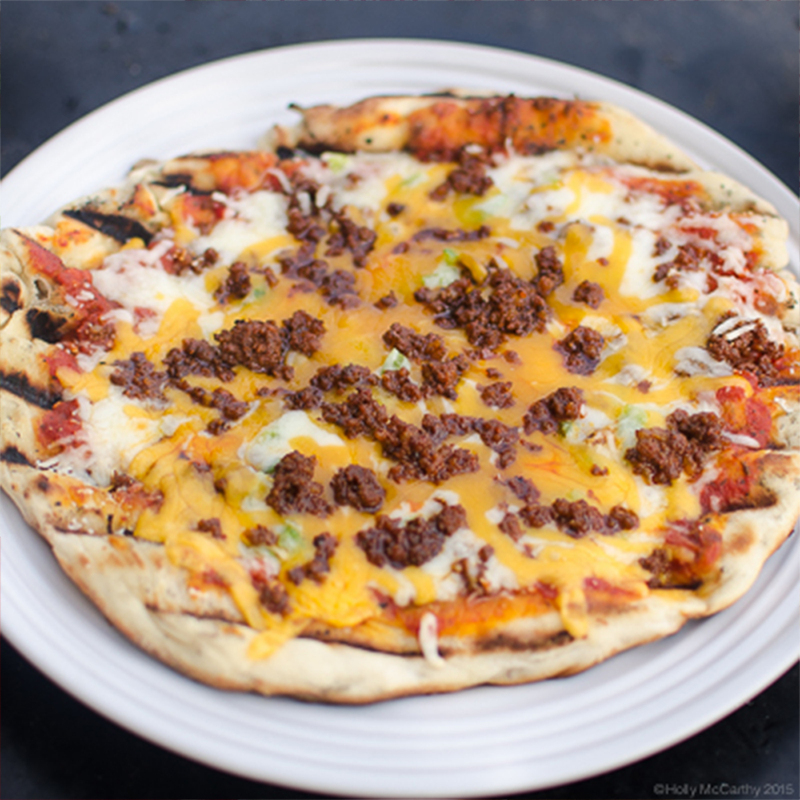 You might be interested in checking out the companion recipe for how to make pizza on the grill. The sauce has a kick, so if you’re a heat pansy turn it down a notch by reducing the pepper. In a medium-size pot over medium heat, heat the olive oil and saute the minced garlic until golden brown. To the pot, add the remaining ingredients and bring to a simmer, stirring occasionally. Once simmering, place the lid on the pot and turn the heat to a low setting. Allow the sauce to simmer for a minimum of 30 minutes, stirring occasionally.